Bolivia’s Salar de Uyuni is one of the most awe-inspiring natural wonders in South America. Remotely located in southwestern Altiplano of Bolivia, Uyuni is the largest salt flat in the world. Uyuni shimmers with surreal, mirror-like reflections that stretch as far as the eye can see in rainy season and appears as a mesmerizing bright, white desert in dry season: both are equally jaw-dropping. Formed over 40,000 years ago from a lake originally in its place, Salar de Uyuni is a sight to behold. The plains of crisp white salt stretch over 10,582 square kilometers (4,086 square miles). But Salar de Uyuni is anything but desolate. 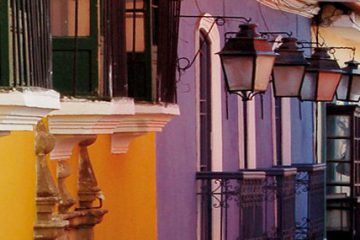 Colorful lagoons, cactus forests, and whimsical geological formations add to its ethereal feel. All of Aracari’s Salar de Uyuni Luxury trips are arranged on a private basis only and offered as part of any tailormade trip to Bolivia, which can be combined with Peru or the San Pedro de Atacama desert in Chile. Aracari’s bespoke journeys to Uyuni always include transfers, guides, and handpicked accommodation at the best hotels – made entirely from salt – or in a luxury airstream camper. With Aracari, you can expect behind-the-scenes attention to safety details like satellite phones, oxygen, first-aid kits and ample fuel reserves – this is a remote location, after all! 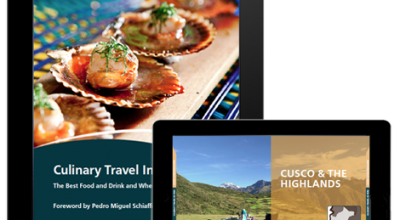 Aracari’s Founder & CEO has been recognised as both Conde Nast Top Travel Specialist to Peru and Bolivia as well as featured on the prestigious Travel + Leisure A-List to Peru and Bolivia, so you can expect the best travel advice from Aracari based on our first-hand travel experience in Uyuni. 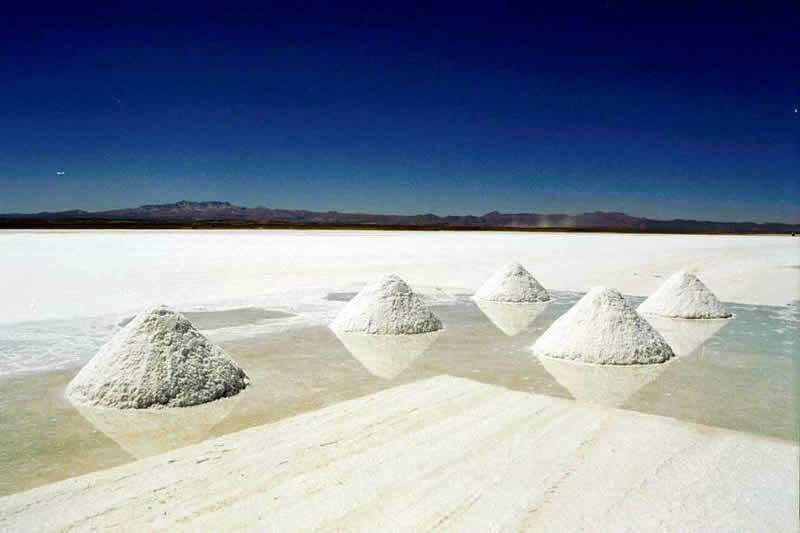 Formed around 40,000 years ago, the salt flats of Uyuni cover 10,582 square kilometres (4,086 square miles). Asides from passing hours (easily done!) 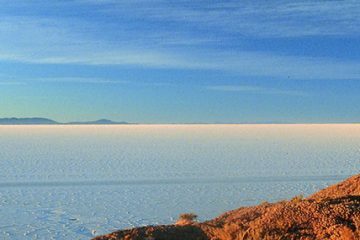 taking photographs on the salt falts, there are a variety of other natural phenomena closeby, as well nearby Eduardo Avaroa national reserve which can be visited as an optional addition to the salt flats of Uyuni. 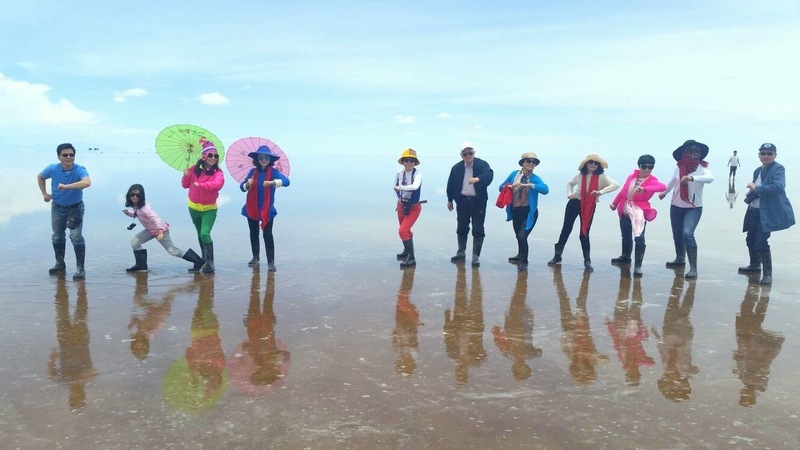 Salar de Uyuni luxury trips can also include visits to local communities, as well as photographic tours led by world-renowned artist Gaston Ugalde, among others. 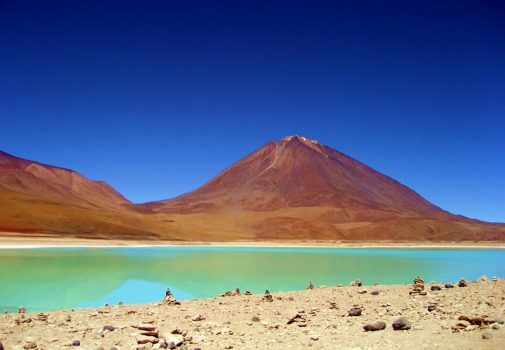 The Altiplano on which the Salar lies consists of fresh and saltwater lakes, mountains, and volcanoes, one of which is the inactive Thunupa Volcano. Travelers in the area can hike to the summit. This can be combined as part of a short stay in Uyuni. There are also hilly, rocky outcrops localted in the middle of the Salar, Isla Inca Huasi and Isla Pescado, covered with incredible, giant cacti and strange land formations.These can be reached in dry season: in rainy season the build up of water prevents safe access to cross the salar. 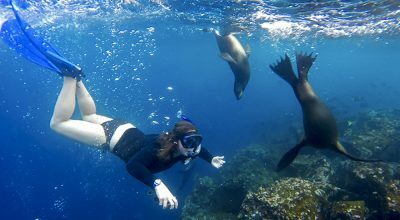 Isla Pescado is somewhat of a tourist trap, especially in the afternoon when many guides bring groups to the same point to lunch. Aracari tackle this by timing your itinerary differently, or offering a private picnic setup on the salar. Another hotspot is the Cementerio de Trenes (train cemetery), a graveyard for rusted steam locomotives and rail cars that were once used by mining companies to transport minerals to the ports on the coast. 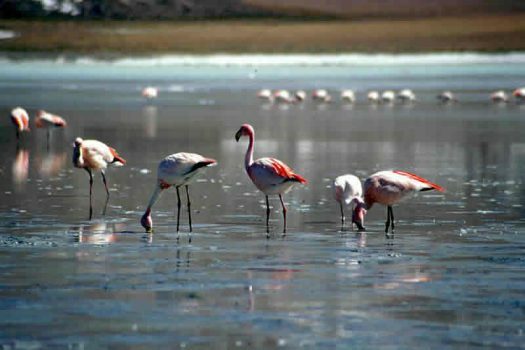 An adventurous extension to salar de uyuni luxury trips is an excursion to the deserts and lagoons of the Eduardo Avaroa Reserve. Traverse by 4x4s on unpaved, unmarked roads – the road journey is precisely the appeal, taking you through stunning, surreal landscapes. 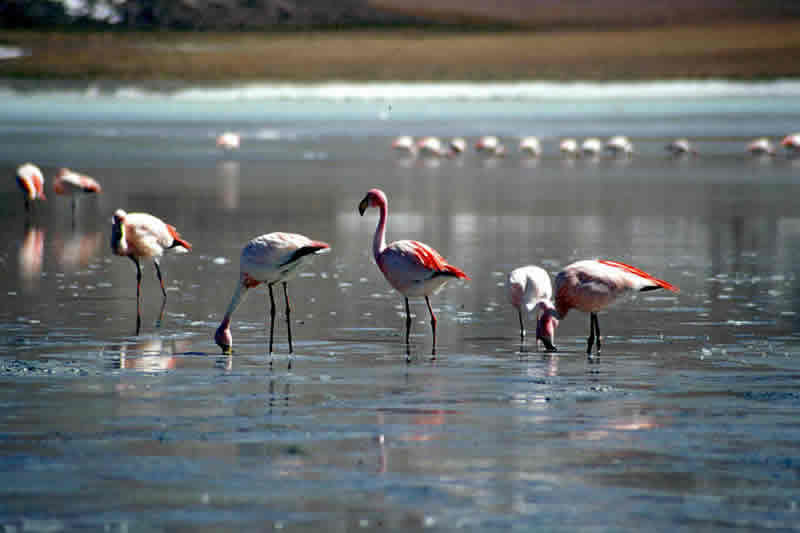 Take in a variety of wildly colored saline lagoons including the sulfur-rich Laguna Hedionda known for its sizeable and colorful pink flamingo population, the bright-blue hot springs of Laguna Verde, or Laguna Colorado, with white, borax islands sitting in stark contrast to its reddish water. 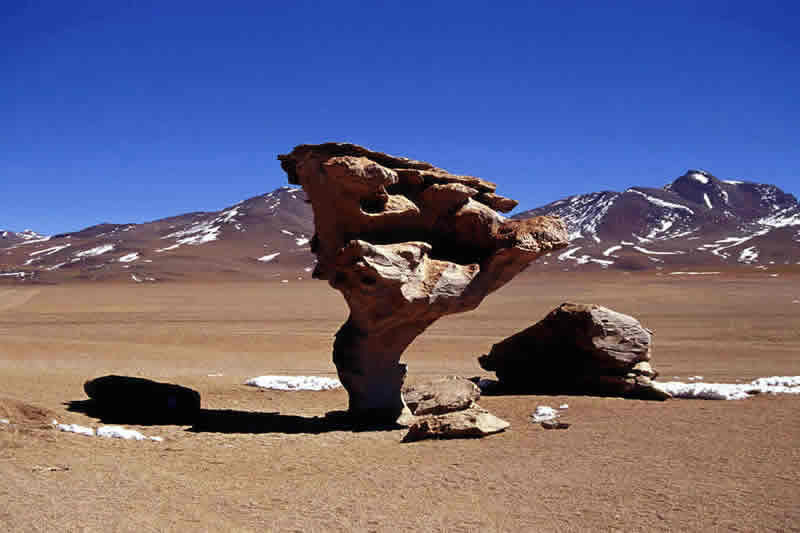 Other natural wonders such as the Licancabur Volcano, the sulfur springs and boiling mud craters of Sol de Mañana, the Dalí Desert, and the Arbol de Piedra (tree of stone), are also highlights and ‘iconic’ images of this trip through the Eduardo Avaroa Reserve. 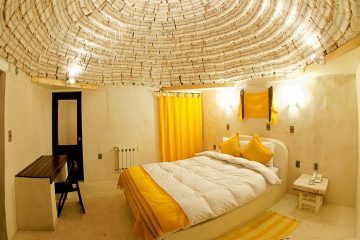 Accommodation in Eduardo Avaroa Reserve is very rustic, so for those looking for the ulimtate luxury travel Bolivia, it is better to stay in the salt hotels of Uyuni as a base to explore from or combine Eduardo Avaroa with Chile, to avoid the need to stay in the reserve. Aracari arranges special pop-up picnics in the middle of the salt flats. 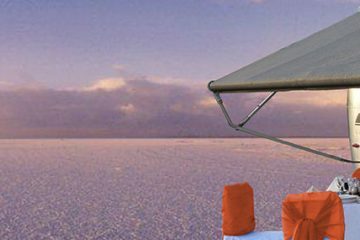 With full tents to shield you from the wind, you’ll be offered a delicious buffet hot meal, laid out with table cloths, glasses and silverware, to enjoy your salt flats experience in style! There is even a private bathroom tent for your convenience. Come sunset, wine and cheese will greet you as you catch the sunset over the Salar. The vastness and solitude of the salt flats is evident during the day with the never-ending stretch of white before you. Then, when the sun sets, there are more delights to behold. The remoteness brings beautiful clear skies with the constellations clearly visible due to the lack of light pollution. 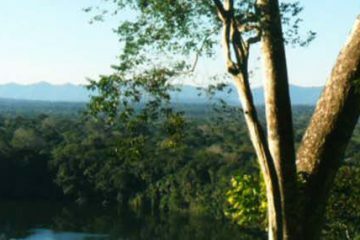 Aracari can arrange a telescope and astronomer guide to help you explore the night sky. 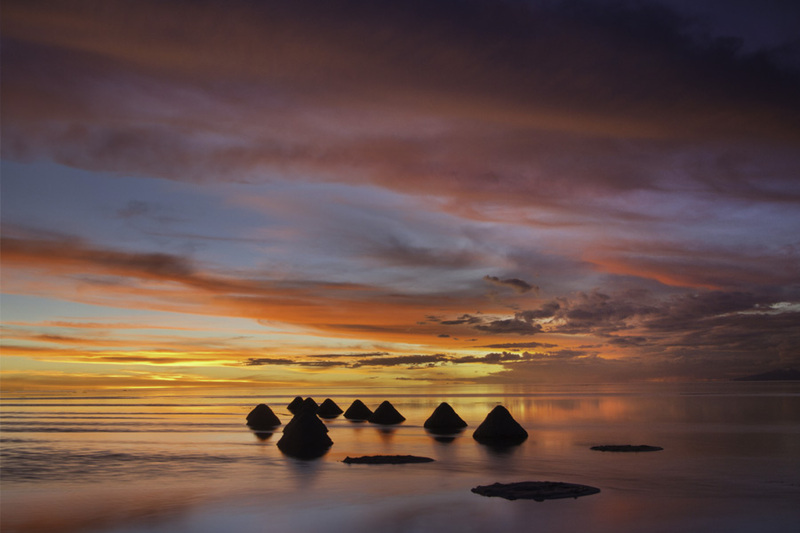 Uyuni is a year-round destination, though visiting during the drier seasons, from May to October, is ideal. 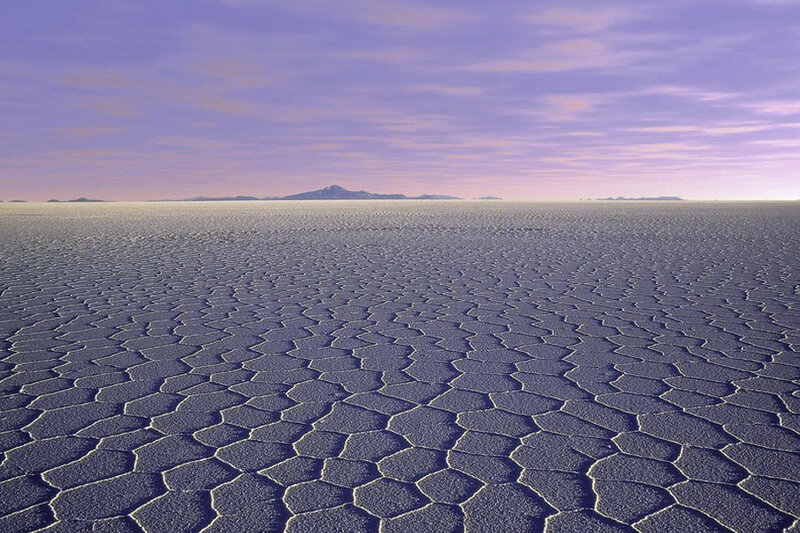 Travel from November to March can include heavy downpours that can impede transportation over the Salar de Uyuni (when it is not possible to reach the rock outcrops covered in cacti in the middle of the Salar), although conversely the salt flats have the remarkable appearance of a mirror during rainy season which is remarkable for photography enthusiasts. 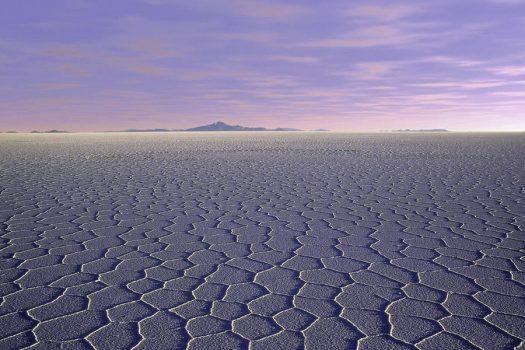 The Salar de Uyuni is located at over 3,353 metres (11,000 feet) above sea level, comprised of a salt-crusted surface ranging from tens of centimeters to a few meters, with underlying brine composed of sodium, lithium, and magnesium chlorides. From May until October, this mineral-rich surface renders an expanse of land, a silent, motionless vastness that extends far into the horizon. However, during the rainy season, from November to March, the Salar becomes coated with a shallow layer of water, creating a mirror-like appearance. Both seasons yield breathtaking views of the land and many visitors are inspired by the Salar’s surreal characteristics. The landscape provides magnificent material for photographs–from the colorful and quirky to the pure and poetic. How long do I need to visit the Salar de Uyuni? We highly recommend dedicating 3 to 4 days to visit both the Salar de Uyuni and its neighboring deserts and lagoons in the Eduardo Avaroa Reserve. However, it is also possible to visit just the Salar in 2 days, 1 night, thanks to daily flights from Uyuni to La Paz. 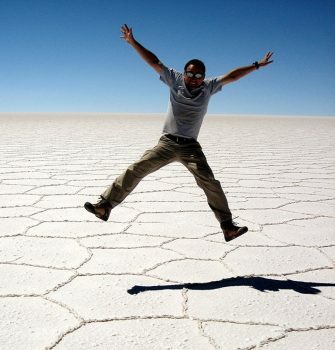 There are also direct flights from Sucre to Uyuni. Alternatively, Salar de Uyuni luxury trips can be arranged to include the salar, Eduardo Avaro reserve and on to San Pedro de Atacama in Chile. Thanks to regular, daily, direct flights to La Paz and a good, sealed road to Sucre, getting to Uyuni is easy. 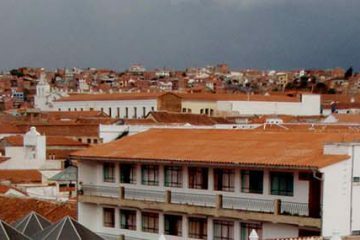 However, as a relatively remote destination in a developing country there is limited infrastructure and a lower accommodation standard than neighboring countries like Peru. As such, Uyuni is best suited to seasoned, more adventurous travellers who are prepared to compromise on ”classic” luxury comforts such as five-star hotel accommodation, for the benefit of visiting a magical landscape. Although there have been more improvements to the infrastructure in the area, it is important to note that the remoteness of the Salar de Uyuni and proximate destinations make the quantity and quality of overnight accommodations somewhat limited. The roads to many of the outlying areas are unpaved, and it is imperative to use 4×4 vehicles to help combat the rocky terrain. For children, the distance covered and time necessary for the excursion can feel quite lengthy, and we strongly recommend that parents prepare for the journey with games or other car-friendly activities to help keep children occupied. 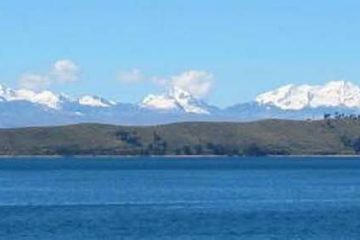 The easiest way to get to Uyuni is by direct domestic flight from La Paz. 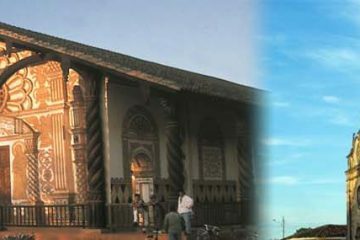 It is also possible to fly from Sucre. 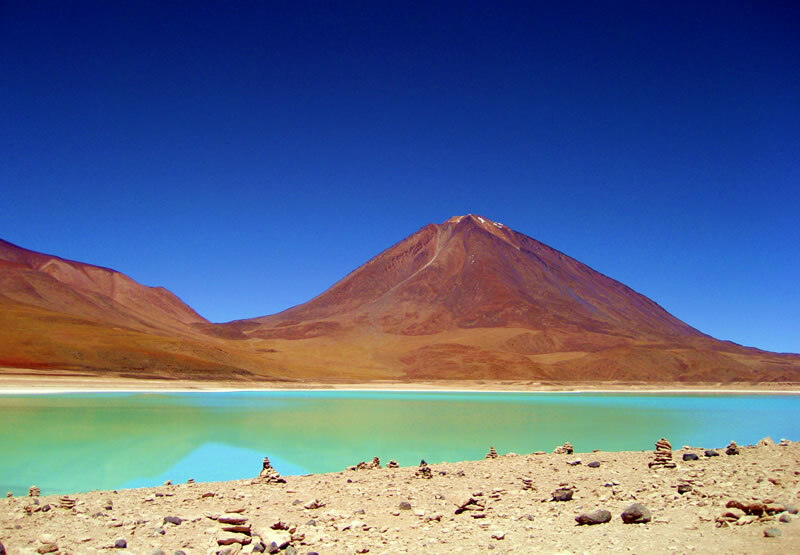 You can also travel by road to San Pedro de Atacama in neighboring Chile. Another consideration to take into account is the extremely chilling temperatures at night, ranging from -9 and 5 °C (16 and 41 °F). During the day, the temperature stays relatively stable, with a peak at 21 °C (70 °F) in November to January and a low of 13 °C (55 °F) in June. To prevent altitude sickness, every hotel is readily equipped with oxygen should guests need it. 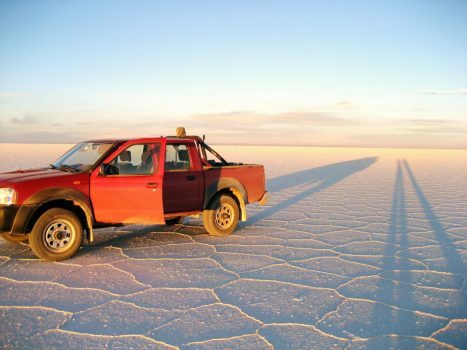 Interested in Salar de Uyuni luxury trips? 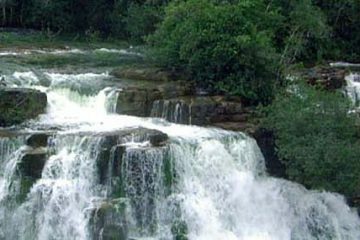 Contact us now for a tailormade itinerary and quotation. Read more about travelling in this region on Conde Nast Traveler, with journalist Andrew Marant’s article Exploring Bolivia: From Salt Flats to a Salt Hotel, after he travelled with Aracari. 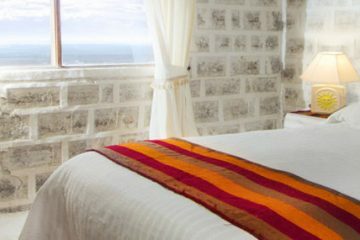 Accommodation in Uyuni is comfortable and quirky, rather than conventionally luxurious. 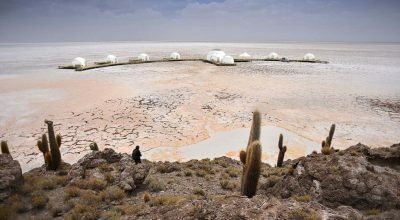 The best places to stay in Uyuni are the salt hotels of Luna Salada and Palacio de Sal – made entirely from blocks of natural salt – or in a private, deluxe airstream camper with your own dedicated chef on the fringes of the northern shore of the Salar. These all have electricity, heating, wifi and hot showers. The salt hotels are not directly on the salt flats for environmental reasons, but are very close by – some rooms have views of the salt flats. 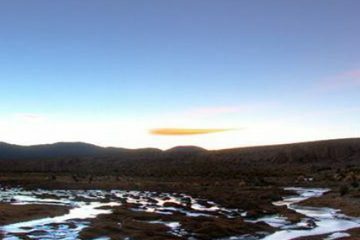 Further south of Uyuni, towards the Eduardo Avaroa National Reserve, accommodation consists of simple community-run lodging and guesthouses. Not all properties have 24/7 electricity and there is no wifi. 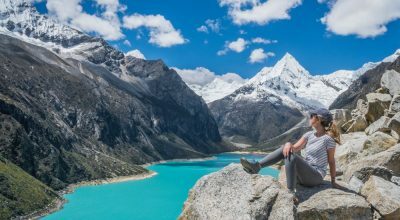 Although basic and best suited only to adventurous travelers, their strategic, remote locations allow you to explore the stunning landscapes close to the Bolivia-Chile border. 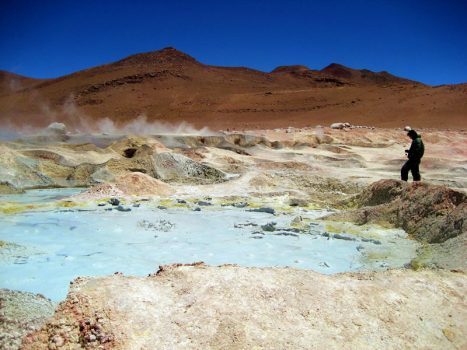 San Pedro de Atacama is close to the Eduardo Avaroa Reserve, with a plethroa of luxury hotels to choose from.